Without a Democrat Senate to worry about and diregarding Republican opposition to normalization of relations with Cuba, President Obama Acts Finally Like a Nobel Laureate says Scott Galindez, a co-founder of Truthout. Obama Finally Acts Like a Nobel Laureate. Normalizing relations with Cuba was an act worthy of consideration for the Nobel Peace Prize. The diplomatic thaw can lead to more peace and justice if it is the first step. The most important move that can be made would be to lift the cruel and unjust embargo against Cuba. For over 50 years the embargo has made a poor country poorer. The failed policy has not weakened the Castro Government, instead it has exacerbated poverty in what was one of the most vibrant economies prior to the Cuban Revolution. For the Cuban elite and American investors all was great. But for many in Cuba, the resources were concentrated in the hands of an elite class that was enjoying life with their partners, the American Robber Barons. The inequality led to the Cuban Revolution. When the Batista regime fell and American-owned resources were nationalized by Castro, the capitalists in Washington decided that they would do all they could to make sure the revolution failed. The Cuba policy reminds me of the Republican strategy for dealing with Barack Obama’s presidency. They did everything they could to make sure more Americans would suffer and blame the President for their pain. The US embargo on Cuba was designed to inflict pain on the Cuban people and force them into regime change. Regime change never came. Some would argue that the embargo helped Fidel Castro unite the Cuban people against the “real” boogeyman in Washington. President Obama, while not fully lifting the embargo, did make some moves that will increase commerce between the two nations. While these actions should be applauded, we must be vigilant. A return to the day when Cuba’s economy is dominated by US corporations is not what the Cuban people need. Exploitation is not the answer, but if you listen to Obama’s cabinet it may be exactly what they seek. 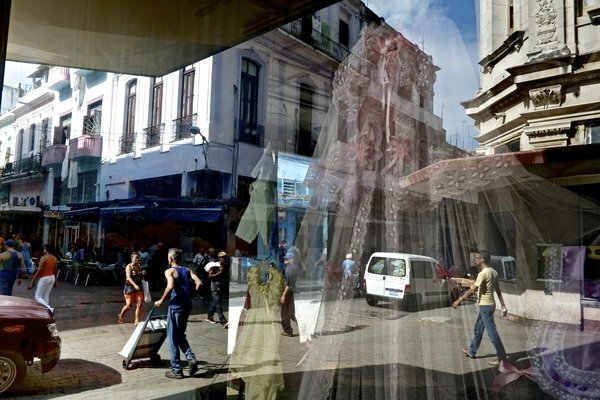 So buyer beware, while increased economic activity between the United States and Cuba could be a good thing, we must make sure it does’t lead to more exploitation by Cuba’s powerful neighbor. Those differences have hardened for many Cuban Americans, but at the same time younger Cubans living in the United States support the president’s actions. They are the future, voices of hope and reconciliation. Let’s not listen to the voices of the past, being amplified by politicians like Marco Rubio who I am convinced express the view of an ideological fraction of the Cuban American community that will soon become the minority. If we follow the direction the Obama administration is taking on Cuba, one day liberal Cuban politicians will start prevailing in South Florida and extremists like Marco Rubio will be out of office. In a statement on Cuban television, Raul Castro called on President Obama to lift the embargo through executive action. Many are saying it will require an act of Congress. Let’s hope we don’t have to wait on the “just say no” Congress – since this policy was initiated by Obama, we know they will do everything they can to reverse it. 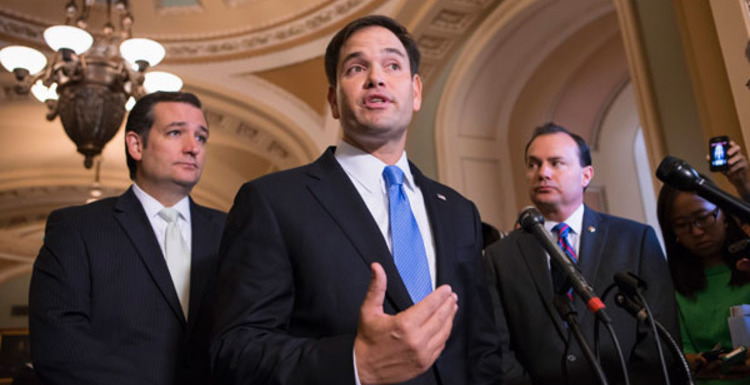 The Cuban and American people are pawns in the GOP’s political strategy. They will continue to do everything they can to make sure the Cuban and American people suffer, in hopes that they will blame the Castros and Obama. Let’s instead support the president’s Cuban policy and point the finger at the cruel politics of the Republican Party. Scott Galindez was formerly the co-founder of Truthout. Republicans were quick on Wednesday to accuse President Obama of appeasing our nation’s adversaries and showing weakness. “First Russia, then Iran, now Cuba: One More Very Bad Deal Brokered by the Obama Administration,” blared the subject line of a release from Sen. Ted Cruz’s (R-Tex.) office. “Unfortunately, this is yet another example of this administration continuing to show the rest of the world and dangerous leaders like those in Iran and North Korea that the United States is willing to appease them,” Sen. Tim Scott (R-S.C.) said. “It is par for the course with an administration that is constantly giving away unilateral concessions, whether it’s Iran or in this case Cuba, in exchange for nothing, and that’s what’s happening here,” Sen. Marco Rubio (R-Fla.) said on Fox News. But there’s one very important way in which Cuba differs from all of these other bad actors on the world stage. And it’s this: Americans aren’t scared of Cuba — like barely even a little bit. Despite Cuba’s proximity to the United States (about 90 miles from Florida) and its alliance with other antagonistic countries like North Korea and Russia, Americans have grown progressively less and less concerned that the island country actually poses a threat to the United States. Back in 1983, two-thirds of Americans viewed Cuba as at least a “moderately serious threat,” but that numbers has fallen steadily since then. In addition, Cuba today simply can’t be compared to the likes of Iran, Russia, North Korea and the others as far as the threat it poses. Seven in 10 Americans say each of those countries poses at a least a “moderately serious threat,” compared to 26 percent for Cuba. As President Obama makes his case that normalizing relations with Cuba is a good idea, this is a major factor working in his favor. As long as Americans aren’t afraid of Cuba, they will likely be more accepting of a diplomatic relationship. It’s no coincidence, after all, that the sharp decrease in fear of Cuba has coincided with a sharp rise in support for diplomacy. World leaders have welcomed a historic move by the US to end more than 50 years of hostility towards Cuba and restore diplomatic relations. Pope Francis joined leaders from Latin America and Europe in praising the “historic” deal which saw the release of prisoners from both countries. US-Cuba relations: Global praise for normalization of ties. Sending in gunmen to liberate the Bay of Pigs failed, but perhaps we’ll do better with diplomats, tourists and investors. Instead of punishing my country, the U.S. should check its own record. JFK, the Hemignways, and Fidel Castro – an interesting triangle that landed recently at the JFK Library in Boston. 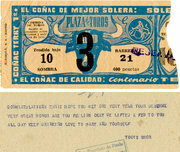 “A Mutable Feast”- Batch of Hemingway Ephemera From Cuba Is Digitized. BOSTON — Ernest Hemingway was a hoarder. His own prose style may have been spare and economical, but he was unable to part with the words, printed or written, of just about anyone else. According to his fourth wife, Mary, he was incapable of throwing away “anything but magazine wrappers and three-year old newspapers.” A trove of some 2,500 documents collected and preserved at Finca Vigía, Hemingway’s farm outside Havana, and now digitized and newly available at the Hemingway Collection in the John F. Kennedy Presidential Library and Museum here, includes diaries, letters, lists, telegrams, insurance policies, bank statements, passports, tickets to bullfights and the Longchamp racecourse in Paris, a brochure from a swimming pool filter company, a page of his son Patrick’s homework and seemingly every Christmas card Hemingway ever received. Hemingway lived at Finca Vigía, or Lookout Farm, from 1939 until 1960 — the longest he lived anywhere — and its 15 acres were probably the place where he felt most at home. He left in July 1960, traveled to Spain and then, in very poor health, returned to America. After a brief stay in New York, he moved to Ketchum, Idaho, where in July 1961, suffering from alcoholism, writer’s block and the aftereffects of two African plane crashes in 1954, he took his own life. After the Bay of Pigs invasion in April 1961, when relations between the United States and Cuba couldn’t have been worse, President John F. Kennedy quietly arranged for Mary Hemingway to travel to Havana and meet with Fidel Castro. The two struck a deal whereby Mrs. Hemingway was allowed to take papers and paintings out of the country and, in return, gave Finca Vigía and its remaining contents to the Cuban people. The Cuban government had little money for restoration, however, and for decades left the house more or less as it was, a tropical Miss Havisham’s, with a Glenn Miller record on the phonograph, the labels on the half-full Cinzano bottles fading in the sun, the roof leaking, the floors buckling. The remaining papers were moved to the basement, accompanied by a single overworked dehumidifier. This decline was arrested, starting in 2005, thanks largely to the efforts of the Finca Vigía Foundation, started by Jenny Phillips, the granddaughter of Maxwell Perkins, Hemingway’s longtime editor. The foundation also helped arrange for the scanning and preservation of the documents. The preservationists are all American-trained Cubans, and they have gone about their work with more zeal than discernment: The new material includes, for example, dozens of blank sheets of airmail stationery printed with the Hemingway address. But the very randomness of this material — a telegram from Archibald MacLeish congratulating Hemingway on “For Whom the Bell Tolls” turns up with Mary Hemingway’s carefully typed hamburger recipes — turns out to be part of its appeal, its reminder that this is how lives are lived, haphazardly. 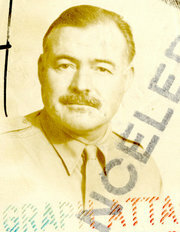 The several Hemingway passports, besides providing a photographic timeline of him as his hair and mustache go white, attest to his restlessness and wanderlust. So does extensive correspondence with an automobile association about how to ship his Buick Roadmaster from Europe to Havana to the United States. 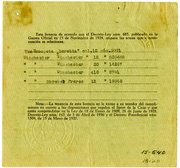 There are logs he kept aboard the Pilar, his beloved fishing yacht, and a 1943 note from the American naval attaché in Cuba authorizing him to use some experimental radio apparatus, a reminder that during the war, when he wasn’t chasing after marlin and tarpon, Hemingway was supposed to be on the lookout for German subs. Some of the most interesting papers, however, belonged to Hemingway’s wife. There is extensive correspondence with Maison Glass, an exporter of luxury foods on Manhattan’s Upper East Side, from which she ordered things like fancy olives, turtle soup and French snails, and with the Conard-Pyle Company, a Pennsylvania nursery from which she ordered plants and got advice about how to grow roses in the Cuban climate. The impression you get is of someone extremely disciplined and well organized. It’s reinforced by a notebook, probably from before the war, when she was a Paris correspondent for The London Daily Express, listing page after page after page of French vocabulary and nuances of French expression. Apparently from the same period are a couple of mash notes. In one, addressed to “Hepsibah” or “Hepsey,” the writer has apparently been shopping and noticed a new display of sweaters: “And they are sumptuous, Hepsey. … To remember your sweaters and how they suit you … Your bosom under sweaters, blessed bosom, blessed haven.” Ms. Spanier believes that both messages were written not by Hemingway but by a newspaperman named Herb Clark, an old flame of Mary’s in the Paris days. According to Ms. Wrynn, Mrs. Hemingway, while packing up papers to take back to America, also burned many. Were these Paris notes ones she overlooked, or ones she couldn’t bear to part with? We’ll probably never know. We may also never know for sure the reason for some numbered notes Hemingway penciled to himself, probably in 1958. Ms. Spanier thinks they are arguments for why he should be allowed to rework some stories from the ‘30s that Esquire wanted to republish 25 years later in an anniversary anthology. They also read like all-purpose writing advice. Questions for the Spanish Left by Dr. Pilar Rahola i Martinez – a Spanish Catholic former MP from Barcelona – now syndicated Journalist. She says: To fight against anti-Semitism is not the duty of the Jews, it is the duty of the non-Jews. Questions for the European Left by Pilar Rahola in The Guardian. brought to our attention by a Canadian cousin who is very proud of Canada’s position on the Middle East – as expressed by its Prime Minister Harper’s recent visit to Jerusalem. Dr. Pilar Rahola i Martínez is a Spanish journalist, writer (writes also for the Guardian – the paper we honor most) a former politician and Member of Parliament. Rahola studied Spanish and Catalan Philology at the Universitad de Barcelona. A Spanish Catholic leftist that denounces the anti Israel wave for its antisemitism – which is not socially acceptable correct diplomacy anymore, but says anti Israel is the same – but seemingly the more accepted course to go. Why don’t we see demonstrations against Islamic dictatorships in London, Paris , Barcelona ? Not true. They are never concerned with freedom for the people of Syria or Yemen or Iran or Sudan, or other such nations. And they are never preoccupied when Hamas destroys freedom for the Palestinians. They are only concerned with using the concept of Palestinian freedom as a weapon against Israeli freedom. The resulting consequence of these ideological pathologies is the manipulation of the press. When reporting about Israel, the majority of journalists forget the reporter code of ethics. And so, any Israeli act of self-defense becomes a massacre, and any confrontation, genocide. So many stupid things have been written about Israel that there aren’t any accusations left to level against her. At the same time, this press never discusses Syrian and Iranian interference in propagating violence against Israel, the indoctrination of children, and the corruption of the Palestinians. And when reporting about victims, every Palestinian casualty is reported as tragedy and every Israeli victim is camouflaged, hidden or reported about with disdain. Or in my native city of Barcelona, the city council decided to commemorate the 60th anniversary of the creation of the State of Israel, by having a Week of solidarity with the Palestinian people. Thus, they invited Leila Khaled, a noted terrorist from the 70’s and current leader of the Popular Front for the Liberation of Palestine, a terrorist organization so described by the European Union, which promotes the use of bombs against Israel . This politically correct way of thinking has even polluted the speeches of President Zapatero. His foreign policy falls within the lunatic left, and onissues of the Middle East, he is unequivocally pro-Arab. I can assure you that in private, Zapatero places on Israel the blame for the conflict in the Middle East , and the policies of Foreign Minister Moratinos reflect this. The fact that Zapatero chose to wear a kafiah in the midst of the Lebanon conflict is no coincidence; it’s a symbol. Kill us with cell phones hooked to satellites connected to the Middle Ages. And yet the Spanish left is the most anti-Israeli in the world. And then it says it is anti-Israeli because of solidarity. This is the madness I want to denounce in this conference. I am not Jewish. Ideologically I am left and by profession a journalist. Why am I not anti-Israeli like my colleagues? Because as a non-Jew I have the Historical responsibility to fight against Jewish hatred and currently against the hatred for their historic homeland, Israel . To fight against anti-Semitism is not the duty of the Jews, it is the duty of the non-Jews. Principles that Islamic fundamentalism systematically destroys. That is to say, that as a non-Jew, journalist and lefty, I have a triple moral duty with Israel, because if Israel is destroyed, liberty, modernity and culture will be destroyed too. And Obama kissed Dilma on both cheeks – the Latin way. Will he now make public a secure amnesty to Snowden? Yes – a most important outside reason for going to the Memorial for Mandela in Johannesburg was to make a public display out of the US effort to do right to its Southern Subcontinent starting with its largest democracy – Brazil. Then, as I doubt it was mere coincidence, Obama also shook the hand of Brother Raul Castro. Fareed Zakaria observed these public happenings on his CNN/Global Public Square today. Both events could have real consequences if followed up by the Administration. It was insane to tape Dilma Rousseff’s phone – now she is Prime Minister of Brazil but once was a Member of a National Communist Party – like every dissent person was in those days – including Nelson Mandela. But those days are gone – all what is left is a National reluctance to submit to US CIA-enhanced Capitalism that fights democracies world-wide. The Castro’s are a different matter. What has been is passe – but what is now is a possible opening to Cuba with an honest effort to brig the Island-State to the fold of democracies, and as shown on TV in Johannesburg Raul is hoping for Dilma’s help. The US is closer by so it could actually be a tripartite cause that proves to Dilma that the US President is not just an occasional kisser. And further – you convince Dilma and Angela Merkel of Germany as well, that a post-Bush era is started in Washington by giving full AMNESTY to Mr. Snowden who was the first to give them evidence that the bosses in Washington do not trust them – something that is not done among friends. And if it is done so these are clearly not regarded as friends and Raul gets vindicated if he might insist on making his island into a future Chinese base – just an idea. We just found that another swallow showed up in Washington – or was this a trained pigeon-carrier? We continue by re-posting it and hope it was not just a trial balloon to be shot down by right-wing Republicans with old-time Sugar-planting and cigar smoking Cubans of Miami friends. National Security Agency official said in an interview released Friday that he would be open to cutting an amnesty deal with intelligence leaker Edward Snowden if he agreed to stop divulging secret documents. Rick Ledgett, who heads the NSA’s task force investigating the damage from the Snowden leaks, told CBS television’s “60 Minutes” program that some but not all of his colleagues share his view. “My personal view is, yes, it’s worth having a conversation about” a possible deal, said Ledgett, according to excerpts of the interview due to air Sunday. But Snowden would have to provide firm assurances that the remaining documents would be secured. “My bar for those assurances would be very high… more than just an assertion on his part,” said Ledgett. Snowden, a former intelligence contractor for the NSA, has been charged with espionage by US authorities for divulging reams of secret files. He has secured asylum in Russia and insisted he spilled secrets to spark public debate and expose the NSA’s far-reaching surveillance. But NSA chief General Keith Alexander rejects the idea of any amnesty for Snowden. Alexander said an amnesty deal would set a dangerous precedent for any future leakers. The four-star general, who is due to retire next year, also said he offered his resignation after the leak but that it was not accepted by President Barack Obama’s administration. Snowden reportedly stole 1.7 million classified documents and Ledgett said he “wouldn’t dispute” that figure. About 58,000 of the documents taken by Snowden have been passed to news media outlets, according to the editor of Britain’s Guardian newspaper. The CBS report also said an NSA analyst had discovered malware designed in China that could “destroy” infected computers. NSA Information Assurance Director Debora Plunkett said the weapon was called the “Bios Plot,” after the key component in computers that performs basic steps such as turning on the operating system. The malware was supposed to be disguised as an update for software, and after the user clicked on it, a virus would turn their computer into “a brick,” Plunkett said. The NSA spoke with computer manufacturers to preempt the possible effect of the malware. While I was writing about Migration as a potential UN multi-lateral topic – the US and Cuba effectively met for bi-lateral talks. From The US Department of State. On Wednesday, July 17, U.S. and Cuban officials met in Washington to discuss the implementation of the 1994 and 1995 U.S.-Cuba Migration Accords. This marks the first time since January 2011 that these periodic talks have been held. Under the Accords, both governments pledge to promote safe, legal, and orderly migration from Cuba to the United States. The agenda for the talks reflected longstanding U.S. priorities on Cuba migration issues. The U.S. delegation highlighted areas of successful cooperation in migration, including advances in aviation safety and visa processing, while also identifying actions needed to ensure that the goals of the Accords are fully met, especially those having to do with safeguarding the lives of intending immigrants. The U.S. delegation reiterated its call for the immediate release of Alan Gross, a U.S. citizen imprisoned in Cuba since December 3, 2009, solely for trying to facilitate communications between Cuba’s citizens and the rest of the world. The U.S. delegation was led by Acting Deputy Assistant Secretary for Western Hemisphere Affairs Alex Lee and the Cuban delegation was led by the Foreign Ministry’s Director General for U.S. Affairs, Josefina Vidal Ferreiro. 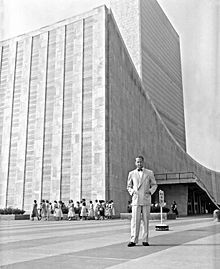 Oscar Niemeyer, best known for Brasilia, died at 105 – the UN moved into its Headquarter building in New York, signed off by him, 60 years ago. We also found that Niemeyer had suggested to save space and build 30-40 stories buildings for cities in the Israeli Negev. Oscar Niemeyer – the architect who signed off the UN Headquarter building that is now in the process of its first renovation – died in Rio de Janeiro December 5, 2012 at 10 days short of 105 years of age. He gave Brasílian Architecture Its Flair – tall buildings and curves. Earlier this year, Niemeyer supervised the renovation of the iconic Sambadrome, the “temple of Samba” which he designed 30 years ago, and where the raucous parades of Rio’s Carnival are held each year. He also had worked on building Brasilia – the capital of Brazil while standing up for the communist party of Brazil. Major news today – in all media – is the passing away of Master Builder Niemeyer of Brazil. It first came to my attention in a great article in the New York Times written by a past architectural critic of his. Oscar Ribeiro de Almeida Niemeyer Soares Filho – known as Oscar Niemeyer – lived in his beloved Rio de Janeiro (December 15, 1907 – December 5, 2012) was one of six children of a typographer and his wife. His father owned a graphic arts business, and a grandfather was a judge on the country’s supreme court. A precocious talent, Mr. Niemeyer was trained at the National School of Fine Arts, where he soon drew the attention of its dean, Lucio Costa. Costa was at the center of a small group of architects working to bring the message of Modernist architecture to Brazil. The timing was ideal. Costa was then designing the Ministry of Education and Health’s headquarters in Rio, and he invited Mr. Niemeyer to join his firm as a draftsman. In 1936, the ministry hired the Swiss-born architect Le Corbusier to contribute ideas for the design. Le Corbusier was already a legend in architecture, and the building would become the first major public project by a Modernist architect in Latin America. Mr. Niemeyer, one of several draftsmen assigned to the project, absorbed Le Corbusier’s vision of a modern world shaped by the myth of the machine, and drew on the master’s belief in an architecture of abstract forms enlivened by a sensitive use of light and air. But Mr. Niemeyer was also a self-confident apprentice with a vision of his own; under Costa’s supervision, he made significant changes to Le Corbusier’s scheme. The columns supporting the building’s main office block were more than doubled in height, giving the structure a more slender profile. An auditorium that Le Corbusier had envisioned as a separate structure was tucked under the office block, creating a more compact urban composition. Shielded from the sun behind rows of elegant baffles, the building had a clean, stripped-down style that made it a sparkling example of classical Modernism while heralding Brazil’s emergence as a vibrant center of experimentation. 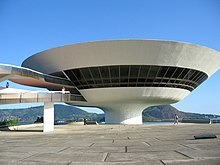 Mr. Niemeyer’s name soon became synonymous with the new Brazilian architecture. In 1939, he collaborated with Costa on the Brazilian Pavilion for the New York World’s Fair. Three years later, he completed his first house, a simple modern box resting on slender columns on a mountainside overlooking the magnificent Rodrigo de Freitas lagoon. In these and other early projects, Mr. Niemeyer was beginning to develop a distinctive architecture of flowing lines, structural lightness and an open relationship to natural surroundings. At the same time, he was becoming politically outspoken. Reared in a quiet upper-middle-class Rio neighborhood by his maternal grandparents, Mr. Niemeyer joined the Communist Party. Yet the project that established him as a major architectural force was essentially a playground for the nouveaux riches in a wealthy suburb on the outskirts of Belo Horizonte, an industrial city. Commissioned in 1940 by a local mayor, Juscelino Kubitschek, who later, as president of Brazil, would hire Mr. Niemeyer to design Brasília’s major buildings, the project included a casino, a yacht club, a dance hall and a church arrayed around an artificial lake. The casino was particularly striking. A concrete-and-glass shell, it was conceived as part of an architectural promenade that fused the complex with the natural landscape. The dance hall was distinguished by its free-form canopy made of cast concrete, its contours meant to suggest the flowing movements of the samba. That project never functioned as planned. The casino was transformed into an art museum soon after gambling was outlawed by the Brazilian government in 1946. And the Roman Catholic authorities were offended by the church’s unusual curved concrete form and refused to consecrate it until 1959. The complex’s bold, sweeping lines and snaking walkways, gently echoing the surrounding hills, suggested a subliminal hedonism that was at odds with the public’s image of mainstream Modernism as determinedly functional and emotionally cool. The design also heralded Mr. Niemeyer’s war against the straight line, whose rigidity he saw as a kind of authoritarian constraint. Mr. Niemeyer’s international status was confirmed by the Brazil Builds exhibition at the Museum of Modern Art in New York in 1943, a show that also introduced his work to an American audience. Four years later, he joined Le Corbusier again, this time as an equal, when the two were selected to take part in designing the United Nations complex in Manhattan. Supervised by Wallace K. Harrison, the United Nations design was a collaboration that also included international luminaries like the Soviet architect Nikolai D. Bassov and Max Abramovitz of New York. The final design was a compromise of sorts between Mr. Niemeyer’s concepts and those of his aging idol Le Corbusier and its final signature was by Oscar Niemeyer. Set amid gardens and plazas, the slim, glass-clad Secretariat tower and the sculptural concrete General Assembly building remain testaments to the belief in rationalism as a means to resolve international disputes and disparities. The United Nations Headquarters complex was constructed in New York City in 1949–1950 beside the East River, on 17 acres (69,000 m2) of land purchased from the foremost New York real estate developer of the time, William Zeckendorf. Nelson Rockefeller arranged this purchase, after an initial offer to locate it on the Rockefeller family estate of Kykuit was rejected as being too isolated from Manhattan. The US$8.5 million purchase was then funded by his father, John D. Rockefeller, Jr., who donated it to the city. The lead architect for the building was the real estate firm of Wallace Harrison, the personal architectural adviser for the Rockefeller family. and a board of design consultants was nominated by member governments. The board consisted of N. D. Bassov of the Soviet Union, Gaston Brunfaut (Belgium), Ernest Cormier (Canada), Le Corbusier (France), Liang Seu-cheng (China), Sven Markelius (Sweden), Oscar Niemeyer (Brazil), Howard Robertson (United Kingdom), G. A. Soilleux (Australia), and Julio Vilamajó (Uruguay). Le Corbusier and Niemeyer together submitted the scheme which was built and is what can be seen brfore the remodeling that goes on now. The building was occupied in 1952. The – History of the Le Corbusier – Niemeyer cooperation: Right after his arrival in New York, Niemeyer met Corbusier on his demands. He requested Niemeyer not to submit a scheme, but rather to collaborate with him on a project, on the basis that he could ‘create a commotion’. It was Wallace Harrison who tried to convince Niemeyer to move on his own. I felt he [Corbusier] would like to do his project, and he was the master. I do not regret my decision. Together, they submitted the scheme 23–32, which was built and is what can be seen today. In his designs for Brasília, the capital city built in the vast undeveloped lands of the Brazil’s central region, Mr. Niemeyer got the opportunity to create his own poetic vision of the future on a monumental scale. The city’s cross-shaped master plan, with repetitive rows of housing set around a formal administrative center, was designed by Costa, Mr. Niemeyer’s old mentor. But it was Mr. Niemeyer who gave Brasília its sculptural identity. The speed with which the city was created, between 1956 and 1960, reinforced its image as a utopian dream that had sprouted magically out of a primitive landscape. Its crisp, abstract forms seemed to sum up the aspirations of much of the developing world: the belief that modern architecture and the faith in technological progress that it embodied could help create a more egalitarian society. Arranged along a vast, grassy esplanade, Mr. Niemeyer’s buildings acquire a certain grandeur in their isolation. The most spectacular is the Metropolitan Cathedral, a circular, crownlike structure that splays open at the top to let light spill into the main sanctuary. Yet much of Brasília’s beauty lay in an architectural balancing act. The simple twin towers of its secretariat, for example, play off the geometric bowl-like forms of the Senate and Chamber of Deputies. The entire complex suggests a world in perfect harmony, even if the politicians and bureaucrats who work there are not. The languorous sensuality of Mr. Niemeyer’s designs are underscored in early sketches for Brasília. They often depict naked young women sunbathing on a vast empty plaza as his buildings recede in the background. It’s an image of romantic alienation that has more in common with the films of Michelangelo Antonioni than with the utopian aspirations of early Modernism. Brasília was considered his greatest triumph, but he had little time to glory in it. In 1964, after a coup put the country in the hands of a military dictatorship, he was repeatedly questioned by the military police about his Communist associations. Although he was never imprisoned, commissions dried up. 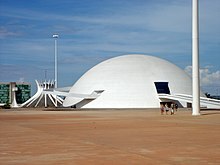 Unable to find work in Brazil, Mr. Niemeyer fled to Europe, where he received commissions to design the Communist Party headquarters in Paris, completed in 1980, and the House of Culture in Le Havre, France (1982), with its low conical dome and a spectacular concrete ramp corkscrewing into the earth. Modernism was by then falling out of favor with the architectural establishment. Brasília soon became a symbol of Modernism’s failure to deliver on its utopian promises. The vast empty plazas seemed to sum up the social alienation of modern society; surrounded by slums, the monumental government buildings of its center exemplified Brazil’s deeply rooted social inequalities. In 1965 Niemeyer traveled to France for an exhibition in the Louvre museum.In 1966, at 59, he moved to Paris – he travelled to the city of Tripoli, Lebanon, to design the International Permanent Exhibition Centre. Despite completing construction, the start of the civil war in Lebanon prevented it from achieving its utility. He opened an office on the Champs-Élysées, and had customers in diverse countries, especially in Algeria where he designed the University of Science and Technology-Houari Boumediene. In Paris he created the headquarters of the French Communist Party, Place du Colonel Fabien, and in Italy that of the Mondadori publishing company. In Funchal on Madeira, a 19th-century hotel was removed to build a casino by Niemeyer. The Brazilian dictatorship lasted until 1985. Under João Figueiredo‘s rule it softened and gradually turned into a democracy. At this time Niemeyer decided to return to his country. During that decade he made the Memorial Juscelino Kubitschek (1980), the Pantheon (Panteão da Pátria e da Liberdade Tancredo Neves Pantheon of the Fatherland and Freedom, 1985) and the Latin America Memorial (1987) (dubbed by The Independent of London to be “…an incoherent and vulgar construction”). The memorial sculpture represents the wounded hand of Jesus, whose wound bleeds in the shape of Central and South America. In 1988, at 81, Niemeyer was awarded the Pritzker Architecture Prize, the most prestigious award in architecture. From 1992 to 1996, Niemeyer was the president of the Brazilian Communist Party (PCB). As a lifelong activist, Niemeyer was chosen as a powerful public figure that could be linked to the party at a time when it appeared to be in its death throes after the demise of the USSR. Although not active as a political leader, his image helped the party to survive through its crisis, after the 1992 split and to remain as a political force in the national scene, which eventually led to its reconstruction. He was replaced by Zuleide Faria de Mello in 1996. OSCAR NIEMEYER AND ISRAEL – A NATURAL LOVE STORY. In 1964 – thus before he settled in Paris – Niemeyer spent six months in Israel where he was brought by developer Yekutiel Federman and as per HAARETZ of today – www.haaretz.com/print-edition/bus… – he left behind at least two executed projects – the Kikar Hamedina – the large round-about in what was then North-Tel Aviv, and and the Haifa University, but the most interesting proposal was the planned city that was never built. Niemeyer’s work in Israel is the subject of historical research conducted by the architect Zvi Elhayani for his master’s degree in architecture at the Technion. Among the central issues in the study, which Elhayani concluded last year, is an analysis of Niemeyer’s critical assessment of planning concepts in Israel. In Niemeyer’s proposal for the Negev city, Elhayani sees a clear expression of this critical outlook. According to the study, Niemeyer already identified the low and sparse construction in new cities, and multitude of small communities, as a mistake that Israel would pay for in the future with a loss of open spaces. Niemeyer’s plan envisioned a new city somewhere in the heart of the Negev, but no specific site was selected. A model of the plan, as presented at the time, was photographed on the Tel Aviv beach opposite the Dan Hotel, where Niemeyer stayed. Like most of his work in Israel, the Negev city was never built. Elhayani believes that its construction was unfeasible at the time for technological, cultural, social and economic reasons, and that even today it can only serve as an idea for critical review. Nonetheless, Elhayani writes, the issues Niemeyer raised nearly 40 years ago are at the center of the debate on national planning in Israel today. The question of whether the Negev missed out on – or was saved from – Niemeyer’s ideas remains open. The proposal by the Brazilian architect Oscar Niemeyer in the 1960s to build a Negev city with 40 skyscrapers of 30 to 40 stories for tens of thousands of residents is the complete opposite of the settlement project for the Halutza dunes. While Nitzanit, Shlomit and other Halutza communities are planned to be built close to the ground, with low density and spread over a relatively large area per number of residents, Niemeyer’s utopian city was to be vertical, tall, crowded and succinct. Mr. Niemeyer is survived by his wife, Vera Lúcia Cabreira, whom he married in 2006; four grandchildren; 13 great-grandchildren; and six great-great-grandchildren, according to the newspaper O Globo. A daughter, Anna Maria, died this year at age 82, and his first wife, Annita Baldo, died in 2004, after 76 years of marriage. Mr. Niemeyer lived long enough to see his international reputation recover and flourish. After his return to Brazil in the early 1980s, his office was soon overflowing with new commissions. At 89, his Museum of Contemporary Art in Niterói, near Rio, which opened in 1996, was celebrated for its bold saucer-shaped form. The building is cantilevered out from sheer rock hovered on a cliffside overlooking Guanabara Bay and the city of Rio de Janeiro. A decade later, on his 99th birthday, he celebrated the opening of his National Museum and National Library along the Monumental Axis in Brasília, near his cathedral. In his last years he e designed at least two more buildings in Brasilia, the Memorial dos Povos Indigenas (“Memorial for the Indigenous People”) and the Catedral Militar, Igreja de N.S. da Paz. A growing number of people had begun to re-examine the legacy of postwar Modernism and appreciate his purist vision as a throwback to a more optimistic time. A recent photo of Niemeyer looking out from a window in his office in Rio. “Brazil lost today one of its geniuses,” Dilma Rousseff, Brazil’s president, said in a statement issued Wednesday night. Allied with the far left for most of his life, he suffered career setbacks during the rule of Brazil’s right-wing military dictatorships of the 1960s and ’70s, and he was barred from working in the United States during much of the cold war. As Modernism later came under attack for its sometimes dogmatic approach to history, his works were marginalized. Still, Mr. Niemeyer never stopped working; he churned out major new projects through his 80s and 90s. And as the cold-war divide and architecture’s old ideological battles faded from memory in recent years, a younger generation began embracing his work, intrigued by the consistency of his vision and his ability to achieve voluptuous effects on a heroic scale. Brazilian National Museum, Brasilia, D.F. Niemeyer maintained his studio in Rio de Janeiro well into the 21st century. In 2002, the Oscar Niemeyer Museum complex was inaugurated in the city of Curitiba, Paraná. In 2003, at the age 96, Niemeyer was called to design the Serpentine Gallery Summer Pavilion in Hyde Park London, a gallery that each year invites a famous architect, who has never previously built in the UK, to design this temporary structure. He was still involved in diverse projects at the age of 100, mainly sculptures and readjustments of previous works. On Niemeyer’s 100th birthday, Russia’s president Vladimir Putin awarded him the Order of Friendship. Grateful for the Prince of Asturias Award of Arts received in 1989, he collaborated on the 25th anniversary of these awards with the donation to Asturias of the design of a cultural centre. The Óscar Niemeyer International Cultural Centre (also known in Spain as Centro Niemeyer), is located in Avilés and was inaugurated in 2011. In January 2010, the Auditorium Oscar Niemeyer Ravello was officially opened in Ravello, Italy, on the Amalfi Coast. The Auditorium’s concept design, drawings, model, sketches and text were made by Niemeyer in 2000 and completed under the guidance of his friend, Italian sociologist Domenico de Masi. The project was delayed for several years due to objections arising from its design, siting and clear difference from the local architecture; since its inauguration the project has experienced problems and, after one year was still closed. His daughter and only child, Ana Maria, died of emphysema in June 2012, aged 82. 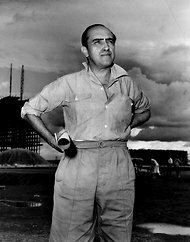 Niemeyer died of cardiorespiratory arrest on December 5, 2012 at the Hospital Samaritano in Rio de Janeiro, ten days before his 105th birthday. He had been hospitalised with a respiratory infection prior to his death. The BBC‘s obituary of Niemeyer noted that he “built some of the world’s most striking buildings – monumental, curving concrete and glass structures which almost defy description”, also acclaiming him as “one of the most innovative and daring architects of the last 60 years”. The Washington Post described him as “widely regarded as the foremost Latin American architect of the last century”. The re-birth of capitalism in Cuba by the small private person and rebuilding a State Economy. We have watched with astonishment the following happen actually some seven years ago. I say with astonishment because I did eat in what was recommended to me as a private restaurant – in an apartment of private people that did not call it a business. They made me feel of being a guest, and the menu had no marked prices. Instead I was expected to leave money as a present. I thought of it as a ploy that gave returns to the proprietor that were higher then what he could have noted on the menu. On the other hand, the private driver, that would take you in his sputtering 50s long Chevy, was overpricing it and left me with the feeling that he was government connected – sort of the Cuban version of FBI surveillance. Was it a private thing to make sure you did not miss the official highlights, and you did not go out of town to places not on the tourism list? Greg Kahn/Getty ImagesA market sells dresses and other items in Havana. Published: December 1, 2012 – The New York Times online. In print December 2, 2012. A man in his shoe repair shop in the doorway of his home. New business regulations have allowed thousands of citizens to make money for themselves for the first time since 1959. From The Guyana Times we gleaned recent articles showing structural change in relations between Western Hemisphere countries and the arrival of China to the region. The Community of Latin American and Caribbean States (CELAC) was established December 2011 in Caracas, as all three pre-existing organizations of Latin America prove to be behind the times – this mainly because of the US push to keep still Cuba outside the international system. The Organization of American States does not include Cuba and similar problems are facing the Caribbean CARICOM and the Economic Commission for Latin America and the Caribbean (ECLAC). With China becoming more important in the Western Hemisphere – now CELAC – that includes all States except the US and Canada – becomes a more appropriate conversation partner to China – replacing ECLAC which is viewed as a tol of the US. We have here a series of articles from THE GUYANA TIMES that show this evolution in changing inter-Western Hemisphere States around the time of the RIO+20 meeting, June 2012. Chile is the linchpin to this Latin American reorganization – hosting both ECLAC and CELAC. The latter brought along also the members of CARICOM. How long will it take to the US to realize that its economic relations in the region are at stake? July 4, 2012, THE GUYANA TIMES. In order to deepen strategic relations with the region, today the Chinese Premier Wen Jiabao proposed the creation of a China-Latin America cooperation forum and the establishment of a regular dialogue mechanism with the troika of foreign ministers from the Community of Latin American and Caribbean States (CELAC) – with a first meeting due to be held during 2012. The Executive Secretary of the Economic Commission for Latin America and the Caribbean (ECLAC), Alicia Bárcena, welcomed Wen Jiabao on behalf of the commission. From ECLAC, he then sent out a message to the Latin American and Caribbean region on the occasion of his official visit to Brazil, Uruguay, Argentina and Chile. In his ECLAC speech, the Chinese Premier put forward concrete proposals for cooperation in areas such as food security, innovation, science and technology and sustainable development. Wen Jiabao announced the creation of a cooperation fund for the region with an initial input of US$5.0 billion to promote, inter alia, the development of the manufacturing industry, as well as a credit line of US$10 billion dollars to boost infrastructure cooperation through the Bank of China. He proposed creating various forms of intergovernmental consultation mechanisms, broadening contacts among legislative institutions, political parties and territorial governments and strengthening the exchange of experiences in terms of state governance and the handling of administrative matters. He also suggested the creation of a forum for agriculture ministers and another forum for Scientific and Technological Innovation. He mentioned that his country will give active consideration to ECLAC’s proposal to hold periodic meetings with the region’s heads of state and government. In the context of the visit by Wen Jiabao, today ECLAC launched the document The People’s Republic of China and Latin America and the Caribbean: Dialogue and cooperation for the new challenges of the global economy, which examines recent trade and investment trends. According to the report, trade between China and the region is strikingly interindustrial, which means that China exports manufactured goods to the region, while Latin America and the Caribbean exports mainly raw materials. The document states that this reduces the potential for possible Chinese-Latin American business partnerships, and hampers a more effective integration of the region’s countries into the production chains of Asia-Pacific. Only four of the region’s countries (all in South America) posted surpluses in their trade with China in 2011: Brazil, Chile, Venezuela and Peru. In all cases, this was due to sales of a smaller number of commodities. At the other extreme there is Mexico’s trade deficit with China: while less than two per cent of Mexican exports in 2011 went to China, 15 per cent of Mexico’s imports that year came from China. With this in mind, Wen Jiabao stated that China does not seek to have a trade surplus, but rather that it wishes to have balanced trade with the region by increasing future imports of products with greater added value from Latin America and the Caribbean. According to the country’s premier, China expects the volume of trade with the region to be worth more than US$400 billion in the next five years. According to Bárcena, “Latin America and the Caribbean’s growing economic and trade ties with China raise opportunities and concerns”, and it was therefore essential to set up an agenda for dialogue and cooperation between the two parties. The opportunities of the relationship with China mentioned by Bárcena included improved terms of trade, higher growth rates and additional resources to invest in education, infrastructure and innovation. The concerns related to the reprimarisation of exports, deindustrialisation, Dutch disease, land access and immigration. Wen Jiabao proposed deepening the friendship between the peoples of China and Latin America, while promoting mutual respect and peaceful coexistence. He said that, although China had experienced dramatic changes, it was still a developing country and its cooperation policy and feelings of solidarity with Latin American and Caribbean countries remained unchanged. China will definitely continue its path of peaceful development. Quoting a Chilean saying, he stated that “friends are like stars: they are far away but you know they are there”. Final Declaration of Caracas unanimously approved by CELAC. December 5, 2011, THE GUYANA TIMES. The summit to establish the Community of Latin American and Caribbean States (CELAC) wound up on Saturday in Venezuela with the unanimous approval of the Final Declaration of Caracas, and the handing over of the chairmanship to Chile. The presidents, prime ministers and heads of delegations of the 33 countries making up the new regional organisation expressed a common stance, while ratifying their agreement with the 18 documents discussed during the two-day historic meeting. Likewise, the plan of action of the CELAC was agreed, which, specified Venezuelan President Hugo Chavez, should be honored by all member nations, particularly by the members of the so-called troika (Venezuela, Chile and Cuba: outgoing country, new pro tempore chairman, and the next venue, respectively). Two communiqués can be found among the 22 documents signed, one on the need to put an end to the economic, commercial and financial blockade of the United States against Cuba, and another on the recognition of Argentina’s right over the Falklands. In addition, participants approved a special declaration on the defense of democracy and constitutional order of the countries composing the CELAC. Political texts referred to commitment to social inclusion, food and nutritional safety, the situation of the human rights of immigrants, and the sustainable development of the Community of Caribbean States (CARICOM), were also agreed. Other documents signed include texts supporting the Yasuni-ITT-CALC-CELAC ecological initiative in Ecuador; and the Central American emergency situation due to tropical depressions. Participants also agreed to declare 2013 as the international year of the quinoa (edible grain from Bolivia). Also, documents reflecting support for Central American security strategy, and the total elimination of nuclear weapons were signed. Support for the struggle against terrorism in all forms and expressions, and the struggle against the world problem of drugs and drug trafficking were also among resolutions agreed. May 22, 2012, THE GUYANA TIMES. President Donald Ramotar on Monday reiterated the need for developed countries to honour their commitment to support developing countries in their bid to improve their capacities for natural resources and environmental management. The president made this call at the 11th Caricom- Mexico Summit held in Barbados. In sharing the views of the Caricom bloc on the upcoming United Nations Conference on Sustainable Development – Rio+20, President Ramotar said it is imperative that the issues surrounding small islands and low lying coastal states be reflected within the CELAC agenda so as to be mirrored in the Rio+20 Outcome Document. He said too that issues of non-communicable diseases; ecosystem services – especially pertaining to REDD+, marine ecosystem services and emerging blue carbon frameworks, food and energy insecurity –should be addressed at the Rio+20 Conference. “We are concerned that the negotiations over the Zero Draft document reveal a high level of disagreement on issues which are at the core of the objectives of the conference.” According to the president, it was recognised from the Rio meeting of 1992 that developing countries needed a great deal of assistance financially, materially, and through human resources in order to progress. “The developed countries did make clear commitments to provide a significant level of assistance and to create a more equitable global environment for the developing countries. In the 20 years since then, developing countries have been able to significantly improve their capacities for natural resources and environmental management. Despite the fact that they have been helped through programmes and projects financed through the Global Environment Facility (GEF), the Rio Conventions and bilateral arrangements with some developed countries, the sum total of assistance received is just a small part of what was promised in Rio in 1992,” President Ramotar said. He added that as a result of unfulfilled promises, “developing countries are still badly in need of the promised support to meet the ever-increasing challenges” facing them. Ramotar said small island and low-lying coastal developing states, in particular, continue to face increasing pressures from more frequent and more intense attacks from natural disasters and need to develop appropriate and effective response mechanisms. The president stated too that the preparation of the Zero Document should now focus on ensuring that the main hurdles to the implementation of Agenda 21 and related action plans are “honestly identified and appropriate measures be considered for a renewed effort to remove these hurdles and fulfil the expectations generated 20 years ago”. Ramotar said there are several priority issues that should be addressed with Caricom in mind within the context of negotiation of the Outcome Document. He pointed specifically to tourism, health, oceans, climate change and energy. The president said too that Caricom is supportive of the call by other developing countries for there to be additional negotiation sessions to ensure a successful and mutually satisfactory outcome for Rio+20. He said there are “two critical themes” that must be focused on during the upcoming conference in Brazil: the green economy in the context of sustainable development, and poverty eradication and the institutional framework for sustainable development. Under the first theme, President Ramotar said the concept of a “green economy framework” has a critical role to play in rehabilitating the economies of Caricom member states that are continually affected by the 2008-2009 global and financial economic crises. “Caricom is committed to the green economy approach. Member states have been and are interpreting the green economy concept according to their national sustainable development priorities and national economic and social conditions. In fact, several of our member states have developed, or are in the process of developing, sectoral policies, sustainable development strategies, strategic and medium-term planning programmes, and natural resource management frameworks that serve as the basis for a greener, low-carbon economic transition and, at the same time, address the issue of poverty eradication and the broader goal of sustainable development,” he stated. He said a green economy should not be treated as the totality of the sustainable development agenda, as “it is one component among other vital aspects of that agenda”. On that note, President Ramotar said the Rio+20 Conference must address fundamental sustainable development challenges crucial to achieving a green economy that should: ensure greater integration between the economic, social, and environmental dimensions of sustainable development; be applied by each country based on its specific national circumstances and priorities; be consistent with Agenda 21 and the Rio principles; ensure greater equity and inclusion within and between countries; and provide greater opportunities and benefits for all citizens and countries; provide appropriate policy space for developing countries; and involve all relevant stakeholders – big and small. “Caricom is also of the view that developing countries will require significantly enhanced support from the international community, including new and additional finance, technology transfer, and capacity building, in order to develop a green economy,” the president reiterated. Under the second theme, the institutional framework for sustainable development, Guyana’s president said new bodies for Caricom such as a sustainable development council should not be created without a clear understanding of how they will improve on the deficiencies of existing entities such as the Commission on Sustainable Development. He added that it is Caricom’s view that there must be clarity on their relationship with existing UN organs. President Ramotar added that Caricom is open to the proposal on sustainable development goals and considers that a “limited set of time-bound sustainable development goals might be useful in translating the international community’s vision into tangible objectives”. He added that the sustainable development goals should not be seen as a competing agenda with the Millennium Development Goals. May 17, 2012 THE GUYANA TIMES. President Ramotar’s recent address to the Organisation of American States (OAS) Permanent Council was interesting for several reasons. The OAS, formed in the wake of the post WWII Cold War climate, has long been seen as a proxy for U.S. interests. Of recent, it has been challenged by newer regional groupings such as CELAC, which has all the members of the OAS with the notable exceptions of the U.S. and Canada. And as significantly, it includes, Cuba which is still barred from the OAS at the insistence of the U.S.
President Ramotar emphasised the importance of reducing poverty and inequality in the region and noted “the critical importance of development to democracy”. While the president did not expand too much on these themes, it is significant that they are at the base of the contending visions that are driving the newer groupings. The OAS has attempted to broaden its initial focus on regional security, but its equivocation on the coup in Honduras and the ouster of the democratically elected government of Aristide in Haiti, for instance, have fuelled accusations that nothing fundamentally has changed. The movers and shakers in CELAC, notably Chavez of Venezuela have insisted that ‘democracy’ must go beyond issues surrounding the franchise. They emphasise the substantive concerns of economic and social justice, grounded in their socialist orientation and origins. The accusation that ‘bourgeoisie’ democracy of the ballot is hollow was the dominant message by both the PPP and the PNC up to the 1980’s. They insisted that the fulfilment of economic and social rights must take centre stage. However, while the OAS still emphasises the importance of ‘representative democracy’ and spends much of its time ensuring that electoral systems are not subverted, it has found it difficult to effectively challenge the competing ‘development and participatory’ democratic model. The reason is that unlike the confrontation from the ‘left’ in the sixties, the present champions of the latter vision are willing to go to the poll. This might be for the simple reason that their mobilisation of the downtrodden, who benefit from their approach, consistently deliver overwhelming majorities to them. Their ‘participatory and development’ democracy is therefore simultaneously ‘representative”. It is not too hard to find the reason of their success: President Ramotar pointed it out. He warned that there cannot be debate on democracy in Latin America and the Caribbean “outside the context of our intolerable levels of poverty, when 57 million people, or 11 per cent of our population live on less than one dollar a day, and 23 per cent exist daily on less than two dollars”. Latin America has one of the starkest disparities in income disparity between their top and bottom strata. It should be noted that the president did not ignore the traditional concerns of the OAS for ‘security’ issues, but he took a more expansive perspective on the concept. In addition to poverty and inequality, he emphasised the challenges posed by climate change, crime, drugs and violence. It is important that these issues – including the pertinent model of democracy for our country – be on the agenda of our politicians in our country. Without a broad vision of the development path that is appropriate for our stage and level of development it is clear that there is a great danger of the contending politicians pulling so vigorously in opposite directions, the entire country might be brought to its knees. From this perspective we have to ask once again, as to what exactly are the opposition’s objections to the LCDS? One gets very contradictory and conflicting messages. One other matter that needs urgent agreement is whether business is still ‘the engine of growth’ for the economy. If this is so, there should be a clear statement by the opposition as to whether they oppose the notion that businesses – appropriately regulated, of course – can only survive if they earn profits. If Cuba develops its off-shore oil-patch across the US shores, can the US still play the non-recognition game? The Potential of Cuba’s Search for Oil. This analysis was prepared by Elena Maffei, Research Associate at the Washington DC based Council on Hemispheric Affairs. We received the study on May 26, 2012. The recent discovery of offshore oilfields in the Gulf of Mexico has given Havana new hopes of establishing rich deposits of its own, thereby decreasing Cuba’s present dependence on foreign energy sources. Fidel Castro began to look for new energy suppliers immediately upon coming to power in 1959, and he soon found one. The Soviet Union was Cuba’s largest supplier of energy resources during the Cold War, but Moscow’s collapse in the early 1990s, coupled with the longstanding American embargo, drove the Cuban economy into a deep depression. Havana, in response, has begun implementing market-based reforms, including intensifying efforts to open the country to tourism, as well as encourage strategic partnerships with other Latin American countries, most notably Venezuela. In 2011, Cuba produced about 55,000 onshore barrels of oil per day, mostly from the northern province of Matanzas, refining it at the island’s four refineries (in Cabaiguán, Cienfuegos, La Habana, and Santiago de Cuba). Consumer needs, however, call for over 170,000 barrels per day, making the island a net importer of oil. Currently, the bulk of these imports come from Venezuela, which meets two-thirds of Cuba’s daily requirements thanks to an energy agreement the two countries signed in October 2000. Cuba has become a crucial partner for Venezuelan President Hugo Chavez, as reflected in both countries’ membership in the rising “Alianza Bolivariana para Amèrica Latina (ALBA)” trade bloc. In early 2012, a deepwater drilling rig was built in China by an Italian company, Saipem, which is owned by the oil and gas multinational Eni, and then leased to Spain’s Repsol. The Spanish company began offshore oil exploration 22 miles north of Havana, in the Jaguey block of the Cuban Exclusive Economic Zone (EEZ), as early as 2004, and is hoping to find between 5 and 9 billion barrels in that area. Yet Repsol will hardly be the only foreign company operating in Cuban territory, as it will be working in just six blocks within the EEZ, and will be doing so in cooperation with Norway’s Statoil-Hydro and India’s Ongc. 22 other blocks, meanwhile, have been awarded to other foreign companies, including Petronas (Malaysia), PetroVietnam (Vietnam), Gazprom (Russia), Sonagol (Angola), PDVSA (Venezuela), and CNOOC (China). While each is eager to hit black gold in the region, it would take three to five years of drilling before real production could begin even if the deposits live up to expectations. The United States, which is not taking part in the drilling because of its embargo against Cuba, could nevertheless not be more interested. Washington, alarmed by the drilling site’s location just 60 miles from Florida’s coast, has been expressing its concerns about the potential environmental risks posed by the explorations, and has commissioned a panel of environmental and energy experts to discuss possible solutions to any potential disaster in the region. According to William K. Reilly, former head of the Environmental Protection Agency under George H.W. Bush, “the Cuban approach to this is responsible and appropriate to the risk they are undertaking.” But should an accident similar to the BP disaster of 2010 occur, the absence of a bilateral oil spill agreement between the U.S. and Cuba, in conjunction with strict American regulations freezing the transfer of technology between the two countries, would threaten American interests in the region, as well as pose a real environmental danger to the entire Gulf of Mexico. The matter is further complicated by the fact that offshore explorations are not taking place in U.S. territorial waters, within Washington’s legal reach, and are therefore not governed by the Clean Water and Oil Pollution Acts. Thus, any U.S. effort to take control of the situation in the event of an oil spill would be much more difficult, and would be bound to cause a diplomatic incident. Clearly, Washington must begin to consider a possible adjustment or elimination of the restrictions imposed upon the Caribbean country, and ask itself whether the embargo truly still represents American interests. Economically, it must not be forgotten that if the investigations of Repsol and others reveal that there is a considerable amount of oil in the Cuban EEZ, Cuba could be transformed from an oil-importing country to one of Latin America’s largest oil producers almost overnight. Such a stark transition would undoubtedly affect relations between Havana, Caracas, and Washington, as well as completely change the geopolitical equilibrium of the region, possibly producing explosive results. Another crucial issue is the conflict between the Argentine and Spanish governments over Argentine President Cristina Fernández de Kirchner’s nationalization of YPF, a now-former Repsol subsidiary. On April 19th, the Castro administration announced its support for the takeover, stating that Argentina has the right to exercise permanent sovereignty over its natural resources. Such a controversial declaration, even if coherent once one takes into account Argentina’s alliance with Havana, could end up being a risky and counterproductive step for Cuba. A potential geopolitical turning point for the region, the discovery of oilfields in the Cuban EEZ could represent Havana’s ticket to the further liberalization of Cuban institutions, an escape from poverty and underdevelopment, and the end of Washington’s disdain for their Caribbean neighbor. Still, the Cuban position on the Argentinian YPF seizure could prove problematic, and Havana would do well to reformulate its position in order to ease tensions with the Spanish oil company. At the same time, however, if the United States is interested in benefiting from this discovery and in staving off a potential ecological disaster mere miles from its southern coast, then it, too, must work to ease tension and adapt to the post-Cold War world. BRICs, BRICS, HUMAN RIGHTS, and the INTERNATIONAL LEGAL ORDER, Jorge Castaneda contended at a Jacob K. Javits Visiting Professorship Lecture at NYU that a retooled international order would be far more representative of the distribution of power in the world today, but it is not clear whether it would be better. Jorge Castaneda Gutman, in short Jorge Castaneda, is a Mexican intellectual, an author and politician. He was Mexico’s Foreign Minister 2000-2003 and fought to become a candidate for the presidency in 2006. Castañeda’s political career began as a member of the Mexican Communist Party but he has since moved to the political center. He served as an advisor to Cuauhtémoc Cárdenas during his failed presidential campaign in 1988, and advised Vicente Fox during his successful presidential campaign in 2000. After winning the election, Fox appointed Castañeda as his Secretary of Foreign Affairs. Following a number of disagreements with other cabinet members he left the post in January 2003 and began traveling around the country, giving lectures and promoting his ideas. On March 25, 2004, Castañeda officially announced his presidential campaign by means of a prime-time campaign advertisement carried in all major Mexican television stations. Castañeda presented himself as an independent “citizens’ candidate,” a move contrary to Mexico’s electoral law – that gives registered parties alone the right to nominate candidates for election. In 2004 Castañeda started to seek Court authorization to run in the country’s 2006 presidential election without the endorsement of any of the registered political parties. In August 2005 the Supreme Court of Mexico ruled against Castañeda’s appeal. The ruling essentially put an end to Castañeda’s bid to run as an independent candidate, however soon after this ruling he took his case to the Inter-American Court of Human Rights in order to defend his political rights; as of 2008, the case is pending before the IACHR. He graduated from the Lycée Franco-Mexicain in Mexico City. Then after receiving his B.A. from Princeton University and a Ph.D. in Economic History from the University of Paris (Panthéon-La Sorbonne) he worked as a professor at several universities, including the National Autonomous University of Mexico, the University of California, Berkeley, Princeton University, New York University, and the University of Cambridge. He was a Bernard Schwartz fellow at The New America Foundation. Castaneda feels comfortable in the company of young intelligent students and seems to enjoy the life in the academe more then anything else. Seeing him and listening to his words he reminds us of the way intellectuals used to debate the world in the glory days of Paris. Castaneda wrote a highly readable assessment of leftist politics, Utopia Unarmed: The Latin American Left After the Cold War (Vintage Books, 1993). The book has had a wide readership in Latin America and elsewhere for its intelligent, sometimes controversial, overview of leftist politics in Latin America, after the fall of the Soviet Union; see History of the Soviet Union (1982–1991). The book provides a reliable historical account of leftist movements in Latin America, often spiked with lively anecdotes. The main theme is a shift from politics based on the Cuban Revolution to broad-based new social movements, from armed revolutions to elections. Another well known work of his is Companero: The Life and Death of Che Guevara, which offers a detailed and comprehensive analysis of the Argentine Marxist revolutionary. It is remarkable that this highly unusual politician was the choice of the Marian B. and Jacob K. Javits Foundation for being the 2012 Visiting Professor at the NYU School of Arts and Sciences, and Global Distinguished Professor of Politics and Latin American and Caribbean Studies at New York University. New York Senator Jacob Koppel Javits was himself a great Liberal-Republican politician. The man with vision in whose days the party was, thanks to him and his wing of the party, in the center of American politics beholden to all of America’s citizens, and kept the United States open to the world at large. Mr. Javits was Member of the U.S. House of Representatives from the 21-st District, 1947 – 1954; New York State Attorney General 1955-1957 under Governor W. Averell Harriman – his opponent was Franklin Delano Roosevelt, Jr. running as a Democrat; United States Senator from New York, 1957-1981 – His opponent was the popular Mayor of New York, Robert F. Wagner. Javits liked to think of himself as a political descendant of Theodore Roosevelt‘s Progressive Republicanism. As attorney general, Javits promoted a liberal agenda, supporting such measures as antibias employment legislation and a health insurance program for state employees. In the Senate Javits was in effect the most outspoken Republican liberal in Congress. Increasingly concerned about the erosion of congressional authority in foreign affairs, Javits is best remembered for his sponsoring the 1973 War Powers Act, which limited to sixty days a president’s ability to send American armed forces into combat without congressional approval. The lecture started by Professor Castaneda introducing the term BRICs – big letters for Brazil, Russia, India and China, and a small “s” for the fact that this was a plural group. He told us that this was an invention in April 2002 – or about exactly ten years ago, by a Golman-Sachs economist who was saying that those four States will become good places for investment. At start this was thus not a political grouping at all. The economics factor starts with the observation that two of these states hold 2.5 billion people out of the global population of 7 billion, another State, Russia, is a previous well organized State that enters now the global economy anew, and the fourth member, Brazil, is a newly organizes State after the departure of the generals. Urbanization, literacy campaign etc. are fast moving Brazil to its potential in the global economy – this was the new kid on the bloc – as he put it in terms of trade, internal consumption, growing clout etc. The big “S” in BRICS came in later when the subject became political That is when under UN General-Secretary Kofi Annan, an effort was started first with the Millennium Development Goals, followed fast with efforts to restructure the UN and specifically the UN Security Council. Theoretically the 5 winners of World War II formed the group of 5 Permanent Members of the SC which granted to themselves the powers of being able to Veto what they do not like. Castaneda said that the US and the Soviet Union were the winners indeed, and to some extent also the UK, but even then France and China were questionable members of the small list of so called winners in the war itself. Then, to make things worse, China had its internal war and the UN recognized till 1972 the China of Chiang Kai Shek. As new economic post-war powers evolved, take Japan and Germany, then demands by an India, as large as China, became more vociferous, and we like to add something that Mr. Castaneda did not say – the fact that the original Permanent 5 were the only original nuclear power States was broken by India and Pakistan – led to demands to let in to that club of leaders also India, Germany, Japan and Brazil – that is a group of four pretenders – the new P4. Looking around, that left Africa still out – so, going not just by size of population, as that would have favored Nigeria, but by sympathy for a State that evolved well under global solid attention – here came in the “S” for South Africa. The only changes in the Security Council were the enlargement from 12 to 15 in order to make place for newly decolonized Nations in Asia and Africa, and the switch of the China seat from Taiwan to Mainland China (With the brake-up of the USSR – similarly the seat at the UNSC was given to Russia – but these are not real changes). Besides of this – the only change that really happened to our BRICs narrative in economic terms – now also political terms – is that the BRICs become BRICS out of which China and Russia are already part of the Permanent five, so that this requires further consideration only for Brazil and India, the obvious Germany and Japan, and the new addition of South Africa. Professor Castaneda did not touch the subject of the EU and the open question of three of its members as part of the now – leading ten. But the lecture’s direction was now moving to the inclusion of concepts of Human Rights that go beyond the question of economics. The questions of equity move from the Security Council to the World Bank and the IMF and considering that the money is with China, India, Brazil, and hardly with Belgium, here you must consider how it is that Belgium had higher clout in those institutions then the real money States? Now – thinking of BRICS also in political and Human Rights terms – will the larger inclusion of these States help the Human Rights / Democracy issues in a fairer global strategy? But besides the Western Definition of Human Rights, we find that Russia, China, even Brazil and others, have their own definition of Human Rights. Yes, India, South Africa, and Brazil are democracies, but will their understanding of Human Rights help in the global context? True enough – nobody has a perfect record on Human Rights, not even the US when you think about Guantanamo – and the President of Brazil Ms. Dilma Rouseff just mentioned this particular view in her presentation at Harvard. Latin America and others, are against interventionism. There was experience they had – specially with the United States. Brazil is an exponent of this point of view. South Africa has fought apartheid for 30 years with the help of public opinion abroad and with their own struggle at home. Other issues with global importance – such as Climate change and Global Warming have to be solved in a multilateral approach. These new potential members of the global leadership are also not well positioned for cooperation – and Professor Castaneda said that at Copenhagen they were not really cooperative. The same is true for Nuclear non-Proliferation. The obvious question he put before us was – why is it OK for India and Pakistan to have such weapons and not for Iran? And he told us of Turkey and Brazil having tried to tone down the fears of allowing for a nuclear Iran – this with the obvious conclusion that allowing for more power to these important States is no guarantee that these important global problems will be easier to deal with. The Indians are easy on Iran because they want the gas that comes through a newly constructed pipe-line. Then the Responsibility-to-Protect – the R2P – is something that they accept – but only if it is not an excuse for interventionism. The Libyan experience now holds them back from cooperation on Syria. President Rousett said at Harvard that she has respect for Hugo Chavez and does not like intervention. What if military deposes the Chavez faction in Venezuela? But then, in the 1970’s her predecessor and mentor – Mr. Luiz Inácio Lula da Silva – was in prison and was being tortured – it was all over the world and there were demonstrations that put pressure on the Brazilian generals. It is the international civil society that can influence governments. Yes, Brazil used to say that it owns the Amazonas and can do with them as they please, but now they have to level of with the outside world. 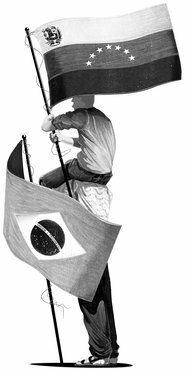 Brazil may want to have a missile like other States – this to prove a point that they can do as they please – this will not help non-proliferation – but it is my hope – and that it is this writer saying so – Brazil may find then that there are other areas that they can relent from going overboard in insistence of sovereign rights. India has changed her position in relation to Sri Lanka for example. For the 20th consecutive year, nearly all of the UN calls for an end to the economic, commercial and financial embargo imposed by the United States against Cuba for the past half century. This is one thing a UN vote comes out on the right side of truth – after all – there are at least 30 UN Member States run worse then Cuba is today. The Florida and New Jersey ex-Cubans are to the US what American and French Settlers in the West Bank are to Israel – outsiders that highjacked their new homeland. The General Assembly today renewed its call, for the 20th consecutive year, for an end to the economic, commercial and financial embargo imposed by the United States against Cuba for the past half century. In a resolution adopted by 186 votes in favour to two against (Israel and the US) and three abstentions (Federated States of Micronesia, Marshall Islands and Palau), the Assembly reiterated its call to all States to refrain from promulgating and applying laws and measures not conforming with their obligations to reaffirm freedom of trade and navigation. It also urged them to repeal or invalidate such laws and requested the Secretary-General to report on the implementation of the resolution at the Assembly’s next session, which begins in September 2012. Introducing the text, Bruno Rodríguez Parrilla, Foreign Minister of Cuba, stated that the US has never hidden the fact that the objective of the embargo – which he said has caused more than $975 billion in damage to the Cuban people – is to overthrow his country’s Government. “What the US Government wants to see changed will not change,” he stated, declaring that the Cuban Government will continue to be “the government of the people, by the people and for the people. “Our elections shall not be auction sales. There shall not be $4 billion electoral campaigns nor a parliament supported by 13 per cent of voters,” he added. The US representative, Ronald Godard, said that for yet another year, the Assembly is taking up a resolution designed to confuse and obscure. “But let there be no confusion about this: the United States, like most Member States, reaffirms its strong commitment to supporting the right and the heartfelt desire of the Cuban people to freely determine their future. “And let there be no obscuring that the Cuban regime has deprived them of this right for more than half a century,” he stated. Mr. Godard added that the economic relationship between the US and Cuba is a bilateral issue and is not appropriately a concern of the Assembly. “The embargo represents just one aspect of US policy towards Cuba whose overarching goal is to encourage a more open environment in Cuba and increased respect for human rights and fundamental freedoms, principles to which this Organization is also dedicated,” he said. Prime Minister Recep Tayyip Erdogan (December 1, 2010), Nelson Mandela (1989), Fidel Castro (1998), Hugo Chavez (2004) were among the receipients of funds from the “Al-Gaddafi International Prize for Human Rights”. Which of them will be first to say that was a mistake? Turkey and Mandela – Quo Vadis Erdogan – e tu Mandela? The prime minister of Turkey – Recep Tayyip Erdo?an – accepted the “Al-Gaddafi International Prize for Human Rights” in Tripoli, Libya, on Dec. 1, 2010, for his “distinguished service to humanity.” … OK – this is the service of Mr. Edogan as judged by Mr. Gaddafi. In his acceptance speech, Erdo?an said that the award will further encourage him to fight for human rights and that “Islamophobia” is a crime against humanity. After receiving the award, Erdo?an reported on his meeting with Qaddafi, indicating that ties between the two countries are growing. The slogan of the “Al-Gaddafi International Prize for Human Rights” is “As the sun shines for everyone, freedom is a right for everyone.” Lovely, no, especially at a moment when Mu’ammar al-Qaddafi’s war planes are raining down death and destruction on his own subject people, and when foreign mercenaries are brutalizing the population? The Prize categorically believes that freedom is an indivisible natural right for Man – it is not a gift or grace from anybody, and that safeguarding it is a general human responsibility. Past recipients of the prize have also included Nelson Mandela (1989), “The Red Indians” (1991), Louis Farrakhan (1996), Fidel Castro (1998), and Hugo Chavez (2004). Will at least Nelson Mandela declare now that the acceptance of that prize was based on misconceptions about the man who funded it? The text of the State Department directive that was interpreted as an attempt to spy on UN personnel, when read carefully, seems to us rather to have been a program of counter-intelligence. Is above really incomprehensible if remembering that quite a few countries used to overload the UN with personnel as a convenient way to put their intelligence operatives within the borders of the US? In the days of the cold war these were mainly East-bloc operatives, today they can be various Middle Easterners and even plants from business interests. The imagination can let you run wild and the host country may love to get more information of what some individuals with UN appointments do in their vastly available extra-time. 1. (S/NF) This cable provides the full text of the new National HUMINT Collection Directive (NHCD) on the United Nations (paragraph 3-end) as well as a request for continued DOS reporting of biographic information relating to the United Nations (paragraph 2). …Reporting officers should include as much of the following information as possible when they have information relating to… credit card account numbers; frequent flyer account numbers; work schedules, and other relevant biographical information. …Information about current and future use of communications systems and technologies by officials or organizations, including cellular phone networks, mobile satellite phones, very small aperture terminals (VSAT), trunked and mobile radios, pagers, prepaid calling cards, firewalls, encryption, international connectivity, use of electronic data interchange, Voice-over-Internet protocol (VoIP), Worldwide interoperability for microwave access (Wi-Max), and cable and fiber networks. WikiLeaks reveals vast U.S. information-gathering operation at the U.N.
information at the U.N. has grown. foreign delegates to the personal relationships between the U.N.
governments. (HUMINT is shorthand for Human Intelligence Collection). conflict in Afghanistan and Pakistan, Somalia, Iran, and North Korea. of third-world countries in the U.N.’s myriad committees. documents on its website Sunday afternoon EST. to a request for comment. Farhan Haq, a spokesman for the U.N.
conversations of then Secretary-General Kofi Annan on the eve of U.S.
*The U.S. solicits information on “plans and intentions” of U.N.
issues” at the United Nations. the Middle East peace process. rights, globalization, justice and reproductive health. The U.S.
reinforce, or replace the U.N.-backed peacekeeping mission in Somalia. “views, plans and tactics of Hamas to gain support in the UNSC [U.N.
directive seeks information about possible threats against U.N.
information on possible financial irregularities in a variety of U.N.
U.N. members toward Cuban, Iranian, and Syrian bids for U.N. In Israel’s Self Interest – It Is Now Intent In Helping The World Disengage From Dependence On Oil. In The Case Of The United States This Means More Electricity In Transportation And The Introduction Of Biofuels – Israel Is Leading In Both These Areas. We are extremely gratified by the following article I just received as this is about one of the tenets we put forward many years ago: It is Israel’s self interest to be a leader in efforts to decrease the WORLD’S dependence on oil – not just because it improves air quality and helps combating climate change – but it also decreases the funds that are made available to its enemies. In past years, because of US politics being driven by Washington lobbyists for Big Oil, the Israelis kept very low on these topics – seemingly now – because of open disagreements on Middle East policy with the United States – they seemingly feel free to do the right thing and step closer to the leadership position in energy technologies that they are so capable of. Back in 1959 – then again in 1974 – we suggested Israel develop its oil-shale resource for supply reasons. We got off that track when we moved our interest to biofuels – which we suggested the Israel Refinery become the global example and start using ethanol as an octane enhancer to replace lead compounds – that would have created an 8 – 15% replacement of the gasoline used in the global market. Some in Israel understood the argument, but others looked to the non-forthcoming US leadership. Then we trumpeted on www.SustainabiliTank.info technologies being developed by Israeli academic institutions – advances in electric batteries, algae, cellulosics, solar energy, geothermal installations, mini-turbines, the “Better Place” management concept. We spoke with some Israeli politicians and found an echo with the budding Green Party representatives in the Tel Aviv municipality, and some of Israel’s representatives at the UN. Our argument was – “Yes you can” – you can innovate and make technologies available free to the global market – free in the sense that you do not charge patent fees – as the country will get repaid by the decrease in military expenditures. The world’s attention to climate change allows you a leadership position because of your high level of scientific research. The following article shows that things-are-changing and Centers of Diplomacy and Communication – not just Science – are being created in Israel in order to promote these ideas. Would it not be nice to see other countries, i.e. India, Germany, Denmark, Brazil, New Zealand, join with Israel in promoting these ideas and push as well the UN institutions that deal with sustainable development and climate change? 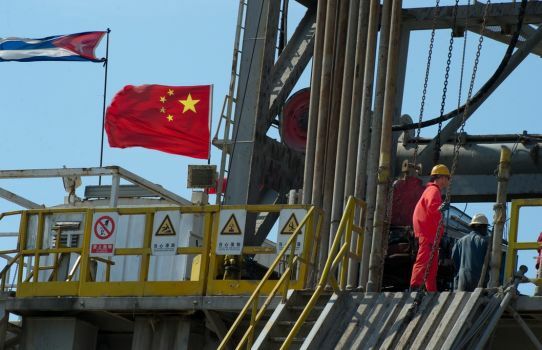 EXECUTIVE SUMMARY: The emergence of China as a major oil importer is feeding geopolitical tensions with the United States over the securing of oil supplies. Russia’s oil resources – a significant source of that country’s increasingly aggressive foreign policy – are also of concern to the US, as is the expected depletion of oil resources over the coming decades. The solution to this problem lies in the ending of oil’s monopolistic status by promoting the use of biofuels and electricity for transportation, something in which Israel can assist thanks to its technological lead in electric cars and second-generation biofuels. More than any other source of energy, oil is at the core of global geopolitical tensions because of its monopoly as an energy source for transportation (land, sea and air). US dependence on oil is not related to power generation. Only 1-2 percent of the electricity used in the US is generated by oil. Similarly, only 4% of the EU’s electricity is produced from oil. Since industrialized economies no longer generate electricity from oil, promoting nuclear power or renewable energy would have no effect on reducing oil dependency. Building more nuclear plants, solar panels and wind farms would only reduce the use of coal and gas in power production. This would have a positive impact on the environment, but virtually no impact on oil consumption. The US is nearly self-reliant for power generation but entirely dependent on imported oil for transportation. In fact, America is more dependent on oil imports today than it was 40 years ago, because of declining domestic production. In 1973, the US imported 35% of its oil consumption, in contrast to 60% in 2007. The only way to really reduce oil dependency in a country like the United States is to change the energy consumption of engines. There are two realistic alternatives: electricity and biofuels. While hydrogen appears on paper to be a third alternative, it is too impractical and too expensive. Hydrogen is not available in nature in a usable form and must therefore be separated from the materials of which it is an element (such as water, natural gas or coal) in order to be used as a fuel. Incidentally, Israeli technology is revolutionizing the use of electric transportation and biofuels. Israeli scientist Yitzhak Barzin founded GreenFuel, a company that produces biological fuel from seaweed, in 2002. Israeli entrepreneur Shai Agassi founded Better Place in 2007, with the purpose of spreading the use of electric cars worldwide. In January 2008 Better Place signed a partnership agreement with Renault-Nissan to launch a new electric car project. Renault-Nissan is building the vehicles while Better Place is building the electric recharge grid, which will enable its customers to recharge their cars wherever they park. More significantly, battery switching stations will enable drivers to switch their car battery in less time than it would take to fill a gas tank. These stations will be spread out just like gas stations, and switching batteries will not involve any extra cost for the customer since the customer is charged only for kilometrage. While Israel is among Better Place’s first and leading “trial countries” (the company is also implementing its model in Denmark and Hawaii), the Israeli government has done too little to promote biofuels. By contrast, the EU and US have adopted policies that make the use of biofuels mandatory. The European Commission’s Renewable Energy Directive (RED) requires 10% of fuels in the EU to be composed of biofuels by 2020. Many of the light planes manufactured in Europe now use bio-diesel, both for cost and air quality reasons. The US Air Force is introducing the use of synthetic fuels made from gas derived from coal or biomass. Its target is to use a 50:50 blend of synthetic and traditional jet fuel for half of its aviation requirements by 2016. As for the US Navy, it is testing biofuels in ship turbines. It also recently launched an amphibious assault ship that runs on an electric motor at low speed. The Navy’s ambition is to ultimately develop all-electric ships. Israel is certainly aware of the need to dethrone the monopolistic status of oil, and it has recently taken initiatives in that regard (such as the launching of the yearly international renewable energy conference in 2007, the establishment of the Institute for Renewable Energy Policy at the IDC in 2008 and the setting-up of a national commission for the replacement of fossil fuels in 2009). In September 2010, the Israeli government decided to invest nearly NIS 200 million over the next ten years in R&D projects aimed at creating alternatives to oil. (The plan also calls for government money to be supplemented by donations from the private sector to the tune of NIS 180 million a year). To avoid the risky dependency on electric cars exclusively (an electric blackout caused by natural disasters could cripple transportation for entire regions), plug-in hybrid electric vehicles (PHEV), which run on electricity and automatically keep running on liquid fuel (including biofuel) when the electrical charge is used up, are most likely to become the most widespread vehicles in the future. Moreover, replacing gasoline cars with electric cars would only partially reduce the world’s dependency on oil because of the massive use of petroleum by ships and airplanes (both civil and military). Hence, the importance of biofuels. The controversy over biofuels is too wide and complex to be discussed here. One important remark though is that biofuels do not need to be produced from crops. “Second generation” biofuels are produced from waste, algae and non-food vegetation. One example is cellulosic ethanol. Another example is algae. Algae double their mass in a few hours and produce 30 times as much oil per acre as sunflowers. Most significantly, algae devour carbon dioxide, the primary culprit in global warming. Growing algae like a crop enables the production of biofuel. It remains an intriguing fact, however, that biofuels are virtually nonexistent in Israel’s transportation landscape. The Israeli government must be more proactive in that regard. By contributing to the breaking of oil’s monopoly over transportation, Israel will not only strengthen its strategic value vis-à-vis the United States and Europe, it might also provide its oil-producing neighbors with a good reason to be more pragmatic. Dr. Emmanuel Navon is a lecturer at Tel Aviv University’s Abba Eban Graduate Program for Diplomacy Studies and a senior fellow at the Center for International Communication at Bar-Ilan University. A US – Cuba – Mexico Shark Diplomacy? There might be obstacles in human interactions – but could that losen up in order to save the sharks? A team of U.S. scientists and environmentalists met with Cuban officials this week to discuss a proposed alliance, including Mexico, to protect the Gulf of Mexico’s declining shark population. The meetings were a product of both improved U.S.- Cuba relations and concern that only a joint effort by the three nations that share the gulf can protect sharks, whose numbers are said to be down as much as 50 percent for some species. “The Gulf of Mexico is one ecosystem, it’s not just the U.S. gulf. The shark is a highly migratory fish that moves between the countries and it is troubled,” said Pamela Baker, gulf policy advisor for the New York-based Environmental Defense Fund, which is spearheading the effort along with the Mote Marine Laboratory in Sarasota, Florida. Shark populations have fallen worldwide, primarily due to overfishing to satisfy China’s demand for shark fin soup, which is rising as China becomes more prosperous, scientists say. An estimated 73 million sharks are being killed annually mostly for their fins, the EDF said in a recent publication. Still unknown, said shark expert Robert Hueter at the Mote Marine Laboratory, is the effect of the massive BP oil spill this summer in the Gulf of Mexico. Sharks were able to swim away from the spill, but it drifted into estuaries and coastal areas where juvenile sharks spend their early lives, so damage to the population may not be obvious for a while, he told Reuters on Friday. They said officials in all three countries have been receptive to the idea of a gulf alliance, but there are practical and political obstacles to overcome. In Cuba’s case, it needs a system to collect information on the number and species of sharks caught, and once it has that, a catch share program that fits Cuba’s communist economy will have to be developed, Baker said. Baker, Hueter and fellow Mote biologist John Tyminski took University of Havana students to several ports to show them how to identify and record fish data, which they will now do for a four-month pilot project. One fisherman with 35 years experience in Cuban waters said they were catching fewer and smaller sharks, a typical sign of overfishing, Hueter said. As they dried dozens of shark fins in the sun, the fishermen said the fins were all for export. A kilo sold for 50 convertible pesos, which is equivalent to $54 or three times the average Cuban monthly salary. The program will also have to navigate the minefield of U.S.- Cuba relations, which have warmed modestly under U.S. President Barack Obama but remain complicated. The Obama administration is encouraging more “people-to-people” programs to increase contact, so it has become easier to get licenses and visas for scientists to travel between the two countries, Whittle said. But U.S. regulations prevent such things as the hiring of Cuban scientists or the purchase of a boat, he added.